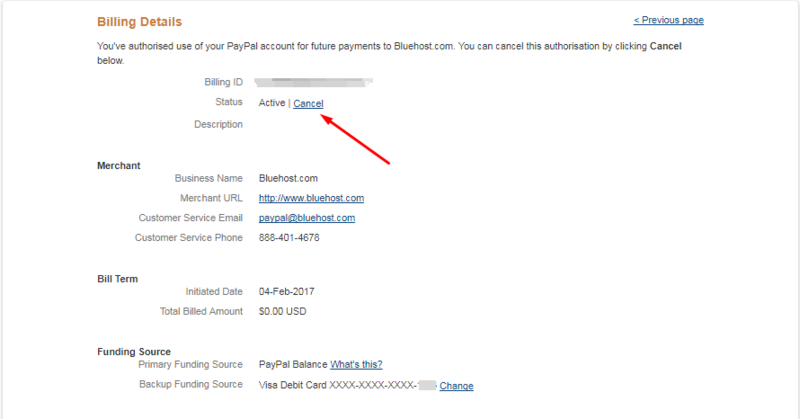 How to cancel recurring payments PayPal? How to cancel Paypal automatic payments?? How to cancel recurring payments on PayPal?? These are some of the most frequently asked questions by the Paypal users. And due to lack of proper guidance, they often fail to figure out the exact steps to involved in canceling recurring payments. But since you have landed on this page, your doubts on this topic are going to end. 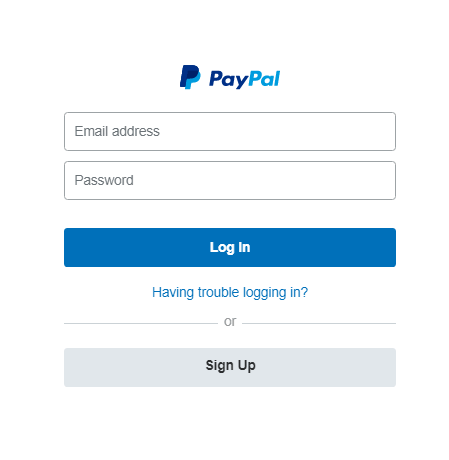 Today, I’ve compiled a detailed article on how to cancel recurring payments PayPal. Also, the exact meaning of recurring payments. Along with its advantages and disadvantages. So, get ready to get all your doubts resolved on how to cancel recurring payments PayPal. Let’s first start our tutorial with the definition of recurring payments. Recurring payment means automatic payments. When you subscribe to any service and set the service to renew automatically, it’s called Recurring or automatic payments. Let’s understand it with an example. Suppose I subscribed to Netflix (Online media streaming website) and paid for it via my Paypal, credit or debit card. If I agree to their billing agreement of automatic renewal of the service, they will deduct the renewal amount every month from my account. That too without my awareness. And that’s what we know as automatic or recurring payment. Recurring payment has its own advantages and disadvantages. Let’s check them out. Advantages and Disadvantages of Recurring Payment? The advantage of recurring payments is pretty clear. We don’t have to be bothered to renew our favorite service every month. It saves lots of our time and efforts. Also, it prevents us from the unexpected interruption in accessing the service. This feature is convenient when we are sure of renewing the subscription. Like for the bloggers and webmasters, hosting and domain are two services that they can’t afford canceling. So they can set these two services for the automatic payments. This feature of Papal is astounding. And it turns out to be a boon when we are too busy to renew our subscriptions. Now you might wonder, if the recurring payment system is so useful, then why one needs to learn how to cancel recurring payments PayPal? Well, this feature is indeed helpful, but as we know, nothing is perfect. And there some disadvantages of this feature too. Although, the problem is not with the feature. But it’s the merchant’s agreement, where the clause of automatic payment is added in a hidden way. Which make us agree to the auto-renewal of payments unknowingly. And lead us to suffer the loss. Reasons to Cancel Recurring Payment? Like I said, Recurring Payment is a useful feature. And it turns out to be handy in certain situations. But there are times when this option can suffer you money loss. Below are some of the reason, that make us cancel the automatic payments for our subscription. The most important reason for the cancellation of recurring payment of a service can be your no-more-interest in continuing the service. Perhaps, you are done with it. And want to get rid of it. Another reason can be, the poor attitude of the service provider. And you want to keep the payment on hold. The next reason that makes us look for the solution on how to cancel recurring payments PayPal is the unknowing subscription. Many times it happens that we unconsciously set to a service for automatic payments every month. But in reality, we wanted that service only for one month. Or maybe, you subscribed a service considering it the best. But after a month or so, you want to cancel the subscription to that company. Possibly because you have got a better option? So, there are some of the reasons, which lead us to cancel the automatic payments from some vendors. The primary reason, why people unconsciously set the payment to automatic payment is that companies often add the auto-renewal of the service in billing agreement. And general public doesn’t have the habit of reading the contracts in detail. When I was a novice, I’ve also made this mistake of agreeing to the auto-renewal of a service by mistake. And I realized the mistake later when the service was auto-renewed automatically, without my knowledge. But thanks to PayPal, that canceling the automatic payment is an easy task. And it hardly takes more than a few minutes to be done. Let’s see how to do it. Since I’ve been stuck in the situation of recurring payments on Paypal, unknowingly, I’m sure; newbies can easily get trapped into this. And it can cause them a huge money loss. 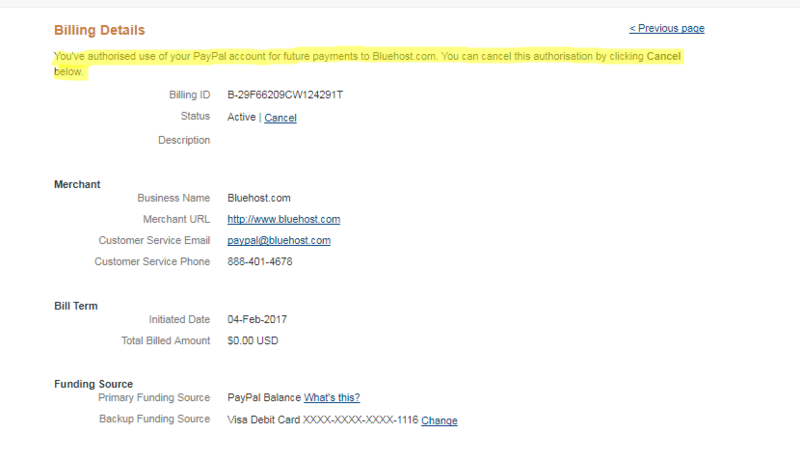 So to prevent them from such unpleasant situation to occur, here I am sharing how to cancel recurring payments Paypal. The lack of such valuable information can cost you a lot of money. 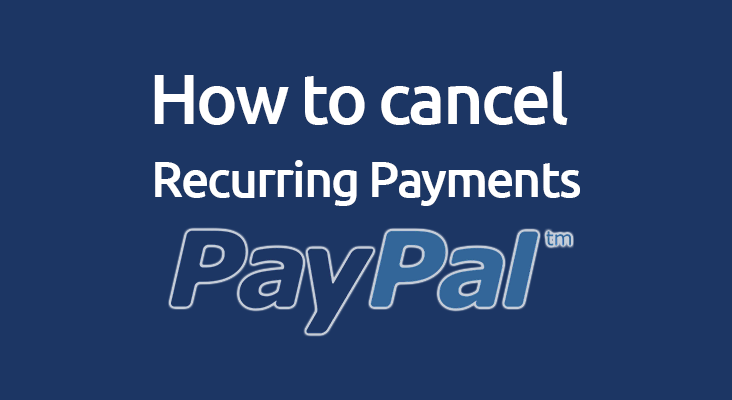 So, be a smart user and follow the below steps to cancel recurring Paypal payments. So, what are we waiting for?? Let’s go ahead to the steps. Step 1. In order to cancel recurring payments on Paypal, the first thing you need to do is to go to www.Paypal.com. And login to your PayPal account. Enter your credentials in the login field and press enter. Step 2. 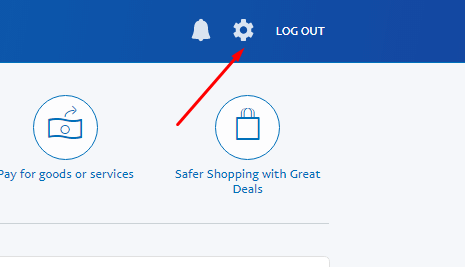 Once you are logged in, just move your cursor to the top right corner of your account’s home page. There, you will find a settings option (gear icon), just beside the logout option. Click on that gear icon to explore the settings page. Step 3. On the account settings page, go to the Payments tab from the top menu. It’s located beside the Notifications option. See the screenshot below. Step 4. On clicking the Payments tab, you need to click on the Manage pre-approved payments. Have a look at the screenshot below. Step 5. The option will give you access to the next page, where you can manage all your subscriptions, automatically invoice payments, installment plan payments, and their details. The details include merchant’s name, its description, the date when you have subscribed to that service, the date when it expires, the last amount you have paid to the company. And also the status, if the subscription is still active or has been canceled. See below to know how the screen looks like. In my case, I’ve two active recurring payments set to my account. If you have a long list of subscriptions to deal with, you can filter the list by its status like active, canceled, completed and so forth. Step 6. In the next step, you need to click on the subscription that you want to remove from being automatically paid. In my case, suppose I want to remove Bluehost subscription. So, I’ll click on that option. Step 7. On clicking the selected merchant from the list, you will be provided with the billing details associated with that vendor. Like the billing ID, subscription status, etc. On the top of the page, you will be informed about your automatic renewal of that service. I’ve highlighted that option in the below screenshot. Have a look. Step 8. Now in order to cancel the subscription, you need to click on the Cancel option, located next to the ‘Status’ option. I’ve highlighted the option in the screenshot below. Step 9. On clicking Cancel, a new pop-up window will instantly appear in front of you to confirm the cancellation. There, you will get notified that once you cancel the subscription, your Automatic Payment related to that merchant will be over. And you need to set up the subscription again if you want to continue the automatic payments. Just click Yes to Confirm the process. And you are done. Step 10. Now, you can verify the recurring payment cancellation by viewing the billing status. See the screenshot below. Note: Cancelling a payment doesn’t cancel your contract with the merchant. However, after the cancellation of recurring payments, the service won’t be renewed automatically. And the money won’t be deducted from your account. But if you received the service already, you need to pay the merchant as per your contract with the company. So with that, I’m done with my part of helping you learning “Paypal cancel recurring payments.” And it’s time for me to wrap up the article. Paypal is indeed a leading online money transaction service. It’s damn convenient to use, secure and features rich. And that’s the reason for its popularity worldwide. There are various features offered by Paypal that are meant for the user convenience. But sometimes, these features trouble the users more, than to help them. And ‘PayPal recurring payment’ is one of such features. This feature is amazing and comes out handy in certain situations. But at times, when we mistakenly activate recurring Payments for unwanted merchants, the same feature turns out to be annoying. Nevertheless, I like this feature. And I guess after going through the exact procedure of how recurring payments work, you will also find it worthy. But again, as I’m here to teach you how to cancel recurring payments PayPal. So I’ve given you the steps. If you still have any doubts on how to cancel recurring payments on Paypal, you can reach out to me via the comment section below. Or you can also contact the Paypal support team for the same. Excellent guide. Thank you. I cancelled one automatic payment successfully. Another weird thing showed up when I checked my automatic payments. There was an ongoing regular payment of zero dollars to BestBuy! It must be some way of BestBuy keeping track of me in case I want to buy something from them by installments in the future! Creepy! I cancelled that one also.